Free ebook – 365 Biblical Success Tips for Christian Entrepreneurs | Passion in Action! Our gift to you today is a free ebook, entitled Kingdom Business Keys: 365 Success Tips for Christian Entrepreneurs. This is an excerpt of the full ebook which contains 365 God-inspired success tips – in 140 characters of less – to help you maximize your entrepreneurial pursuits spiritually, financially, and relationally, so you can be the victorious entrepreneur God called you to be. 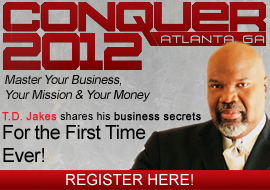 Just go to www.paulwilsonjr.com and fill out the form to get your free copy! We at Kingdom Business University are extremely passionate about equipping entrepreneurs with the Kingdom principles they need to grow profitable, God-glorifying enterprises. That’s we are so excited to release Volumes 1 and 2 of Kingdom Business Keys: 365 Success Tips for Christian Entrepreneurs. We have spent a lot of time studying successful leaders and entrepreneurs. We have also spent a lot of time studying the Bible, looking for principles that apply to the business world. These ebooks are the rewards of our treasure hunt. Just go to the store on PaulWilsonJr.com and you can get both of these compelling ebooks for less than $10! Paul Wilson, Jr. is a "Dream Catalyst" and Marketplace Pastor for leaders and entrepreneurs. He is driven to lead people to unleash God’s potential in their lives through their purpose, passions, and professional skills. He equips leaders with creative, faith-based strategies to flourish spiritually and professionally, while operating from several multi-media platforms, including TV show host, inspirational speaker, and stimulating writer. Paul is the President of Kingdom Business University, which utilizes workshops, consulting, and coaching services to ignite Christian catalysts maximize their God-given mission in the marketplace. He is the author of the life purpose igniter “Dream B.I.G. in 3D: How to Pursue a Bold, Innovative God-Inspired Life!” He is also the host of Passion in Action, a motivational and educational faith-based Internet TV show for social entrepreneurs, business leaders, and community change agents. Contact us today to learn more about how he can help your business, church, or community to thrive on purpose!